The Taung skull – 2/5 million years old and very rarely displayed to the public, was on view at the Life of Bone exhibition which I just caught on the closing day last Tuesday 31st May. I had seen the tiny skull of the 3 year old displayed in its 3 parts at one if its rare public showings also at Wits, some 8 or so years ago. 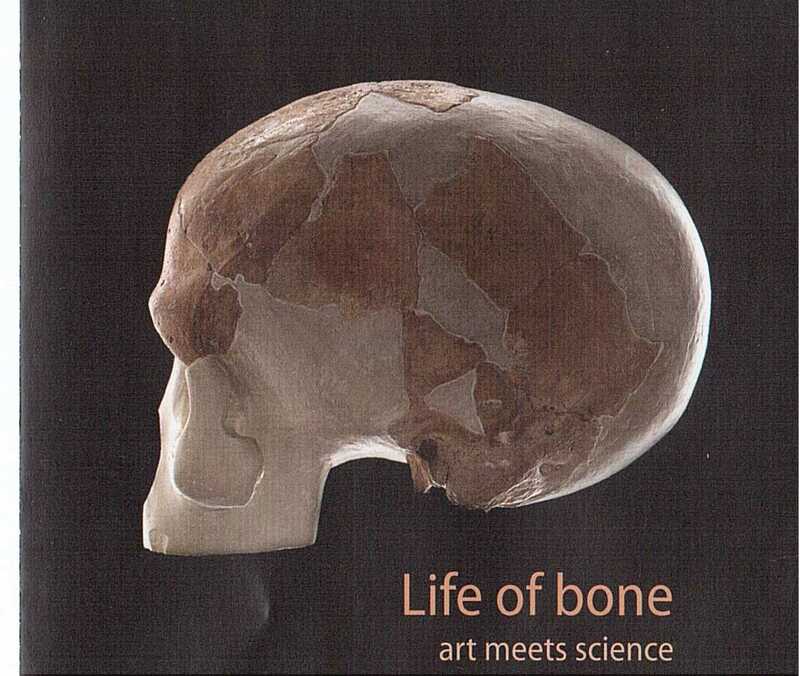 But this time it was displayed with the acutley honed aesthetic eye of two artists Karel Nel and Joni Brenner who curated the Life of Bone exhibition. As a result the impact of this tiny skull which is neither monkey, nor human, was quite extraordinary – it had a real presence: beautiful, poignant and humbling. Only the teeth are still classed as bone, the rest has turned to stone. The crystallized interior of the skull and the imprint of the brain left on the exterior of the once fossil, are both visually seductive and scientifically fascinating. The theme of the entire exhibition .. art meets science .. seemed to be encapsulated in this tiny Australopithecus Africanus skull, displayed with such sensitivity to its powerful visual impact. If you missed the exhibition the accompanying book is available – it sells for R300 at the Origins Shop which is R50 less than it is selling for at Exclusive books. So get yourself a copy and now. Where is this book currently available? Life of Bone. It’s available at Wits Art Musuem (cnr Jan Smuts and Jorissen) open daily except for Monday and Tuesday. It’s a great book.